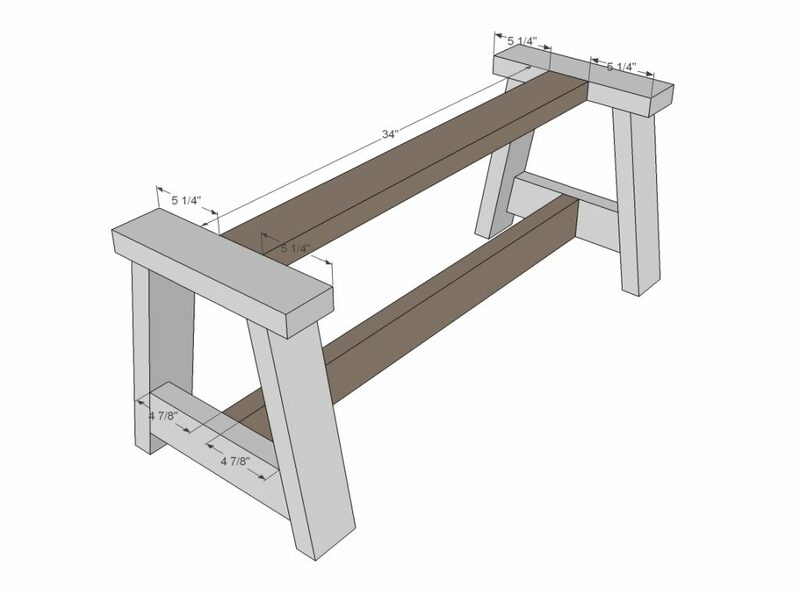 DIY: How to Build a Rustic Bench - GNH Lumber Co. DIY: How to Build a Rustic Bench - GNH Lumber Co. 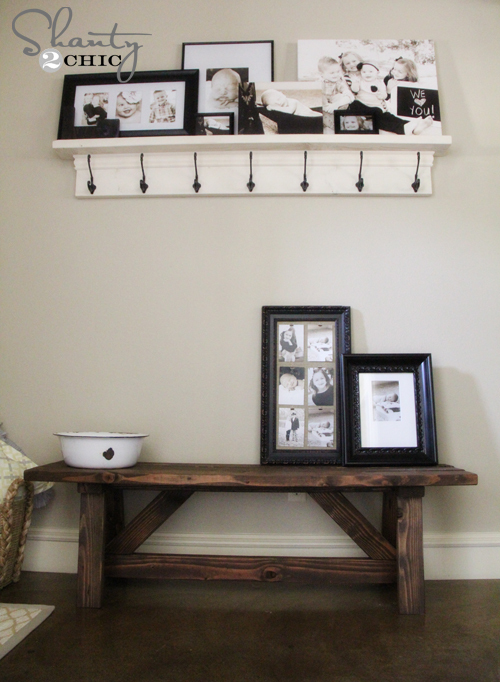 Handmade furniture adds beauty and functionality to any home. Plus, a custom look is sure to impress friends and family. This time of year, it’s convenient to have a bench next to the door of a mudroom or entryway for all that pulling on (or taking off) of winter boots, socks, hats and gloves. 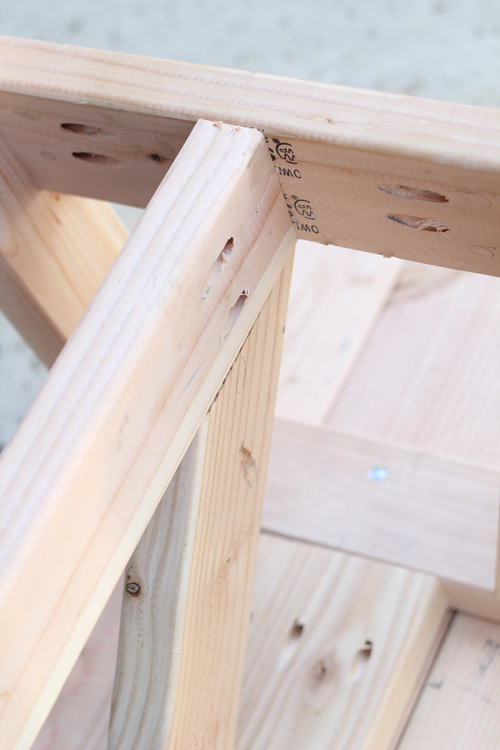 And here’s the good news: you don’t have to be a master carpenter to build this simple, rustic bench! Just follow this step-by-step guide from Shanty to Chic based on the Providence Bench design by Ana White. 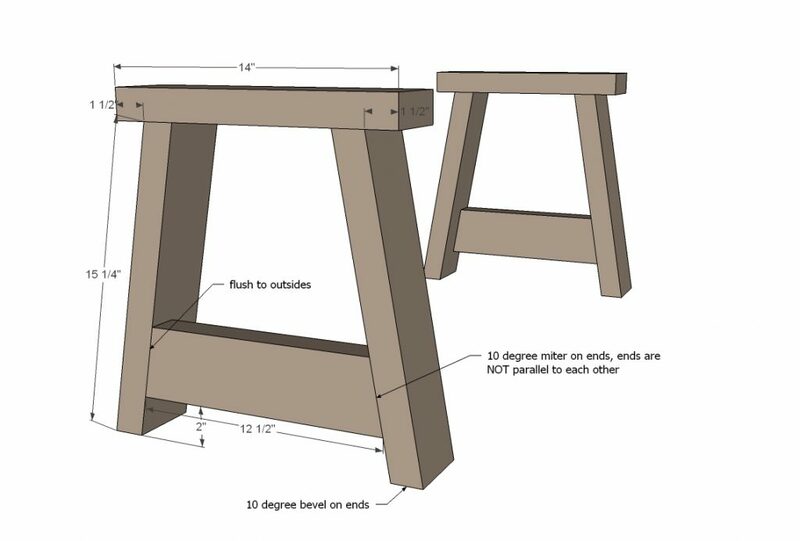 It costs at little as $20-$50 and can be completed in one afternoon with the help of a handy Kreg Jig® tool (available at GNH)! 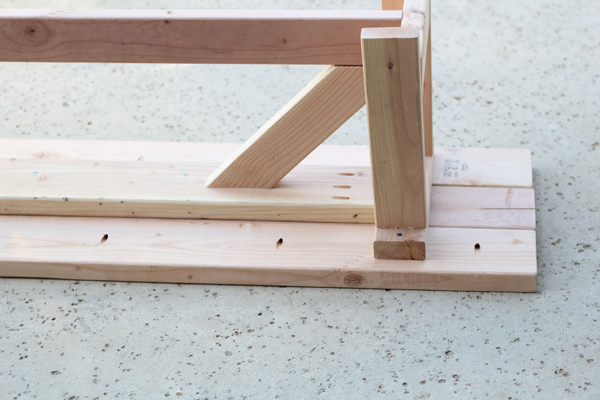 A Kreg Jig® makes it easy for anyone, even a beginning DIYer, to create rock-solid wood projects and to make strong, long-lasting repairs. 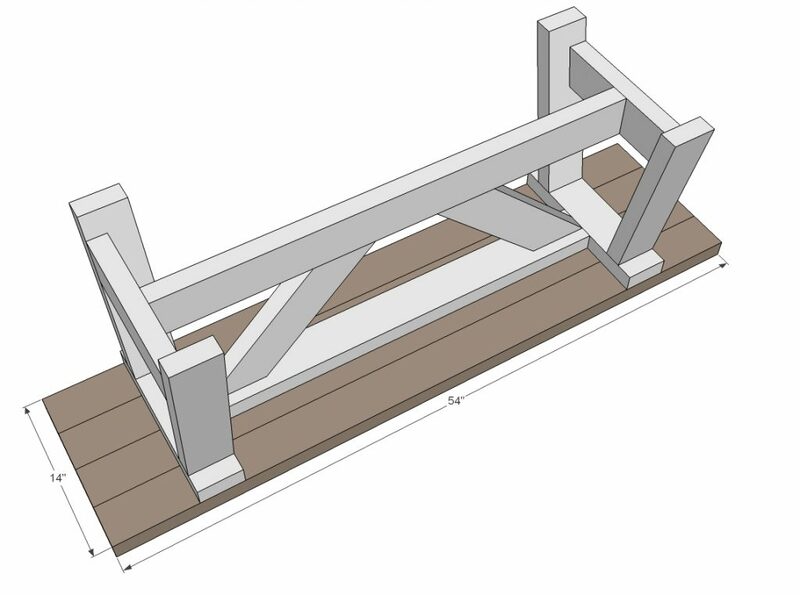 Build two ends as shown above. They are identical. 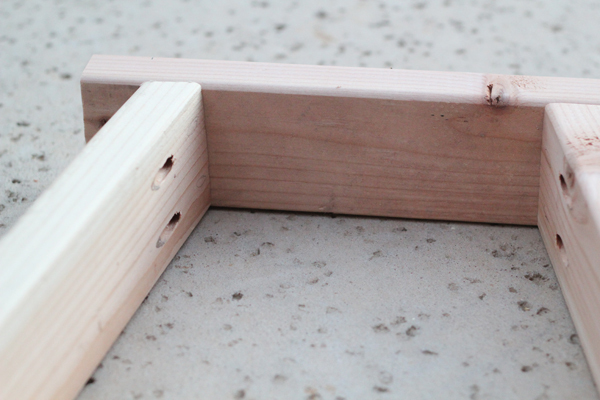 Use the Kreg Jig® on 1 1/2″ setting with 2 1/2″ pocket holes, or countersink screws with glue. 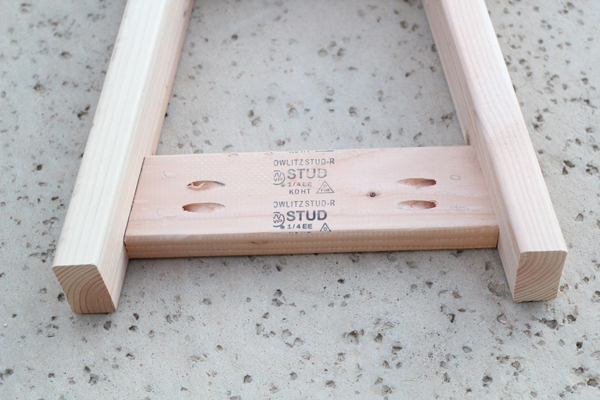 Here’s are our suggestions for pocket hole placement. 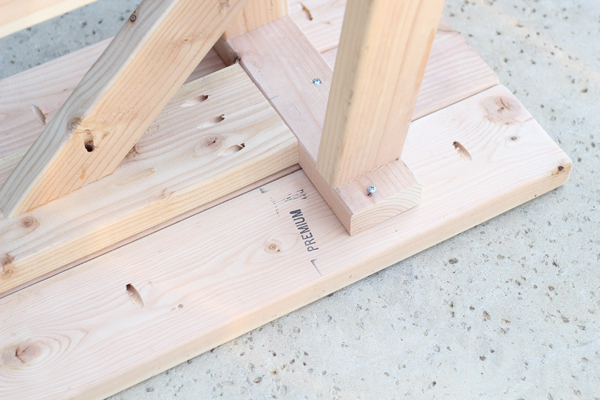 NOTE: Use the Kreg Jig® to plank the top of the bench before attaching it to the base. You can leave a small 1/8″ gap between boards for water drainage if desired. Fill all holes with wood filler and let dry. Apply additional coats of wood filler as needed. When wood filler is completely dry, sand the project in the direction of the wood grain with 120 grit sandpaper. Sand all surfaces thoroughly. Vacuum to remove sanding residue. Remove all sanding residue on work surfaces as well. Wipe project clean with damp cloth. Use primer or wood conditioner as needed. It is always recommended to apply a test coat on a hidden area or scrap piece to ensure color evenness and adhesion. 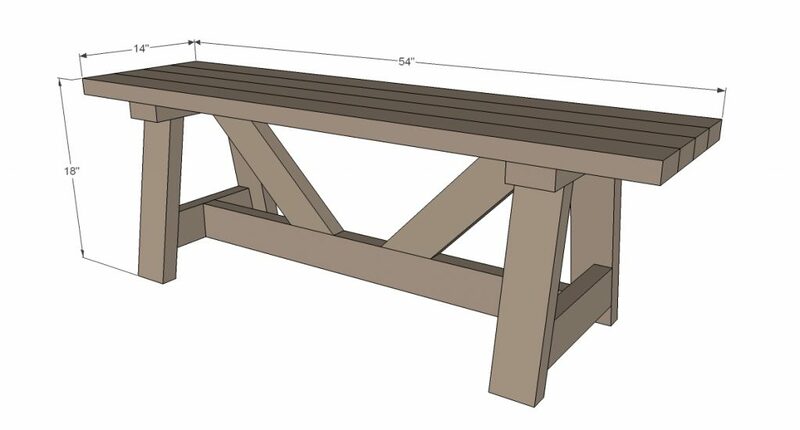 The bench shown has a coat of Rust-Oleum Ultimate Wood Stain in Dark Walnut. That’s it! 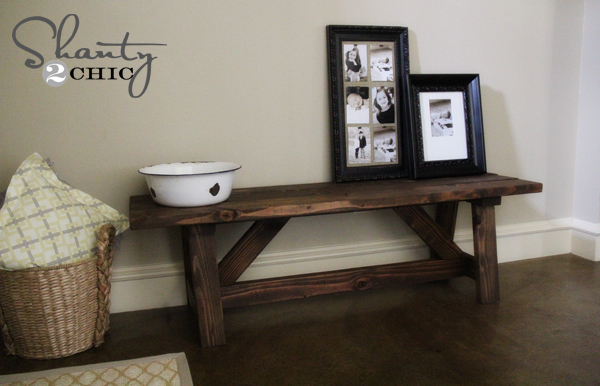 This rustic, entryway bench is now ready to enjoy all season long! Questions about this project or another DIY-project on your list? 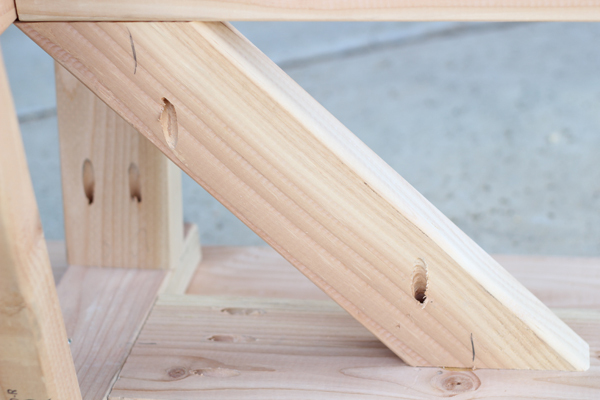 Stop in to your local GNH Lumber for tips, guidance and recommendations! 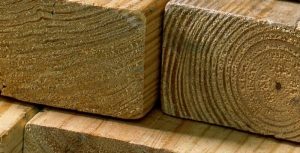 Questions or concerns about your woodworking project? Stop in to your local GNH Lumber! 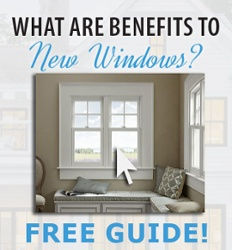 We’re always glad to offer guidance, tips or suggestions, or point you in the right direction for just the product needed to get the DIY project done.